First... them Copics are wicked expensive! Second... I didn't consider printing out an image and coloring it to qualify as using stamps. OK... I've come to realize... TWO totally different ideas. There's printing a digi image... then there's stamping an image... :) So I worked past that and here is my first card with a "human" digi image. I've been coloring with chalks and pencils on digi images for awhile now... I hadn't tried it on faces... I found the whole thing just too intimidating. But I had a dear friend tell me the shading was not 100% necessary and that with practice and study... I could learn to do it. Well... I'm a quick study... lol ... except for with this. I have been practicing and decided to just jump in with both feet and see where I'd land. 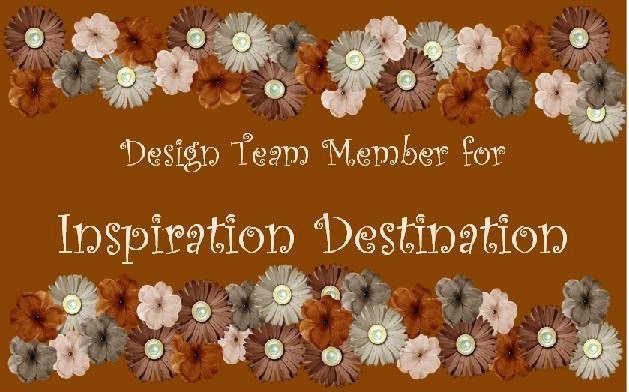 So here we have it... this image is from Simply Betty Stamps for the Quirk in You... or for short... SimplyB. 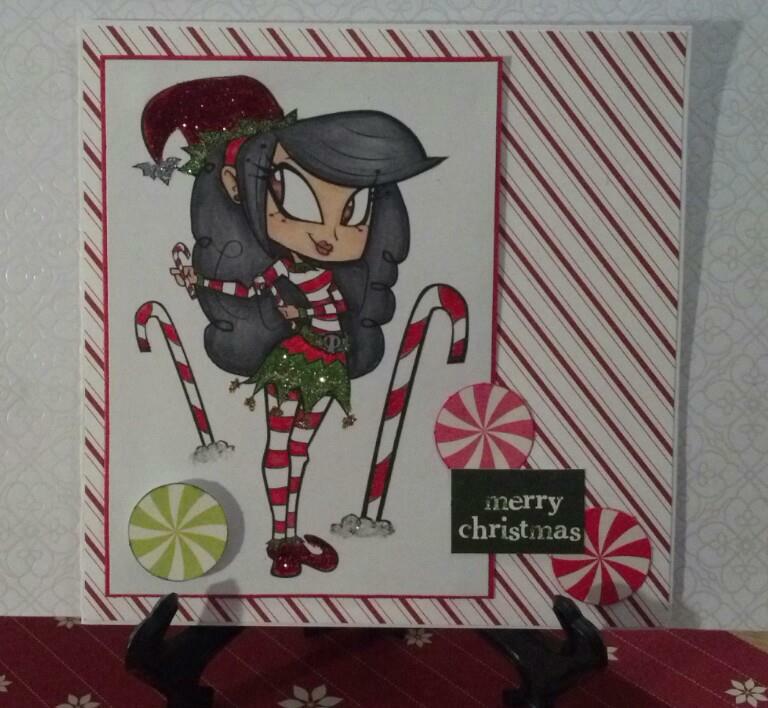 :) This image is the Candy Cane London and I think she's adorable! It's the Chicken Farm Again! Merry Christmas at the Chicken Farm!